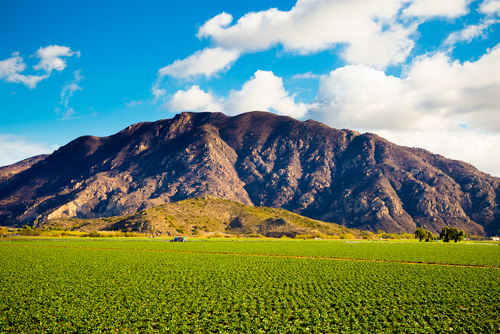 Located in Ventura County in California is the city of Camarillo, home to over 65,000 residents. Camarillo is named after two Californios, Adolfo and Juan Camarillo, who were California natives and preserved the city’s heritage after Anglo settlers, arrived. Adolfo was known for breeding Camarillo White Horses from the 1920’s to the 1960’s and was a regular in parades, dressed in his colorful Spanish attire. The town began to grow more rapidly after WWII due to the construction of the Oxnard Air Field and the nearby Naval Air Station Point Mugu. Camarillo resists more recent expansion of the city in order to preserve natural surroundings. Residents of Camarillo have the advantage of a wide range of shopping and dining choices. Camarillo Premium Outlets is a popular shopping attraction in the area. It houses a wide selection of outlet stores including Calvin Klein, Nike Factory Store, The Luggage Factory, Levi’s, DKNY, Converse, Diesel, and dozens more. Next door to Camarillo Premium Outlets is Camarillo Town Center, which has anchor stores such as Target and The Home Depot. Camarillo Village Square is another great shopping option. There are also a great number of dining options in Camarillo. For the best seafood in the city, the place to go is Lure Fish House. Reviews are consistently high in regards to their great food and equally excellent service. If you’re looking for the best BBQ Beef ribs, then Wood Ranch BBQ & Grill has what you’ve been looking for. Lovers of Vietnamese cuisine will delight in Basil & Mint Vietnamese Café. Other restaurants worth looking into are Adolfo Grill and Daily Bar, Yolanda's Mexican Café, and Ottavio's Italian Restaurant. Camarillo is mostly a bedroom community, with a population of about 65,201 as of 2015. In 2010 there were 25,702 housing units with a median family income of $72,676. The crime rate in Camarillo is far below the national average, making it an ideal place to raise a family. Parks in Camarillo are managed by Pleasant Valley Recreation & Park District. They take care of a number of parks and recreational facilities in Camarillo, including dog parks, a senior center, the only public indoor aquatic center in Ventura County, a running track, lighted ball fields, a community center, tennis courts, walking paths, soccer fields, hiking trails, and a skate park. Parks include Adolfo Park, Bob Kildee Community Park, Dos Caminos Park, Heritage Park, Mission Oaks Park, Nancy Bush Park, Springville, and Woodside Park, to name a few. The Oxnard Union High School District serves the students living in Camarillo. The primary high schools are Adolfo Camarillo High School and Rio Mesa High School.